This Year I Am Going To Be Silly. These are magic salt and pepper shakers. You fill the star with salt or pepper and can then shake the magic wand over your food and then magically sprinkle magic fairy dust upon your now magical dish. 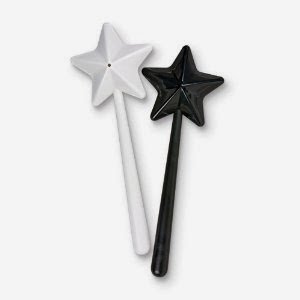 I bought these for myself for Christmas and promptly sprinkled my magic wands over Christmas dinner. To say it was supremely awesome is putting it lightly! A few years ago I decided that I needed to theme my years. Not give myself resolutions to never fulfill (exercising, I’m looking at you), but an overall theme for the year. The first theme was “Write a Bood Story.” I’m a writer by nature, so the idea of looking at the year as an outline was brilliant. What would I want to include in my story? What would I leave out? How would I shape the year to write a better story? 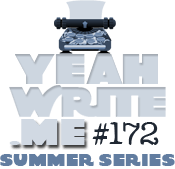 This idea ended up precluding the aspect of writing a better story every day. What would I want in the day to make it a better story? Wasting time reading on the internet while I should be working with the kids, or taking care of something in the house, or spending time with people…was not writing a better story. Ignoring the dishes so I became irritated when they were out of control was also not writing a better story. The focus of “Write a Better Story” was a great way to refocus what I did that year. The next year was “A Bigger World,” where we focused on serving others outside our home, followed by “Love” last year. “Love” was an amazing year because I really had to hone into how to love people who were unloveable. It is easy to love people you like, but how can you find a way…a safe way…to love people who are unloveable? It was a challenge, to say the least, but it was totally worth it. Because I tend to prefer the hermit lifestyle (cabin in the woods, anyone? ), finding ways for me to love people without compromising my introverted-self is a delicate task. When I think of “loving people,” I tend to think of someone saying: “…and then we did this together, and then we had a 2 hour talk over lunch, and then I brought them dinner, and then we played Scrabble all night, and then I served their family, and then I spent the weekend with them, and then….” I get overwhelmed thinking about how I can serve the people and calling it love. But that’s not it at all. To love someone means you understand them, and you love them on their terms. My very good friends love me on my terms, and they mostly leave me alone (truth). I do not like being meddled with, and although I am very interested in discovering new ideas I am a fierce porcupine if I feel I am being forced into new ideas. I love on very delicate and tactful terms, but when I do it is very deep and sincere love. Other people love on different planes: There was a woman I knew who could work a whole room of dozens of people, talk with each person, hold their babies, find everything funny, hold insightful conversations, get to know about their lives…for hours. I was impressed every time I watched her, it was just amazing. Some people need to talk about themselves, and it doesn’t occur to them to engage the other person. They are hyper-focused on what is important to them, and you engage them on that level. Some people take a long time to open up due to trust issues: you show me that I can trust you, and then we’ll talk. Sometimes minutes, sometimes hours…sometimes years. But you have to let them trust on their own terms, you can’t force love. The year of “Love” was fascinating, but at the end of it I was ready to find something new. Something fresh. Something silly…. The theme of 2014 is “Silly, but with the purpose of connecting while being silly.” I need things to lighten up; I know I over-think homeschooling and all my tasks I put on my plate during the day, and I self-judge myself into critic-oblivion far too much. I need to add more joy to the day, more smiles, more happiness in what we are doing. But for the purpose of connecting with people. My goal is to be sillier this year in order to share joy with my kids, with my husband, with my good friends. I don’t want to put people, or myself, off by being reckless and silly (“hey, let’s jump off a cliff! !” is not silly, for example). I want to be silly in a way that binds me with the people close to me. I want to increase the element of happiness in our relationship. So, we’ll see what happens this year! If anything, I can wave my magic wands and make things taste better, and that’s a good start!